No disc check in latest Windows patch (1.14). Only way to purchase game and expansions individually. Optimized for Windows 7 compatibility. Online features require an Ensemble Studios Online (ESO) Account (registered in-game). Steam DRM check is only on first launch, the game can be run in DRM-free mode afterwards by launching it from the age3y.exe executable. Retail CD keys for the Complete Edition can be activated on Steam (US version only). 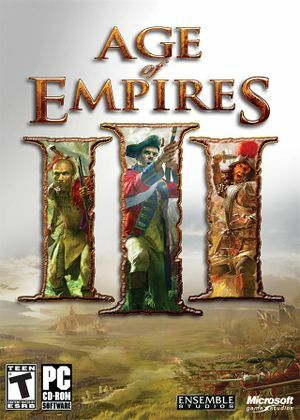 Age of Empires III Complete Collection is a complete edition with all official content. Patched retail version has no disc check. 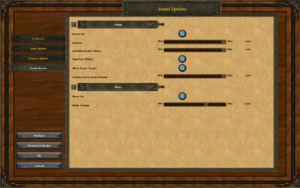 Added 8 maps, 3 civilizations, 2 plot acts, warcheif units, revolutions and stealth. 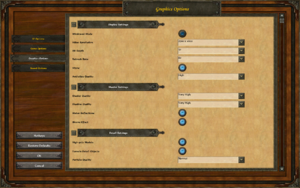 Added 3 Asian Civilizations, each one with a campaign, wonder and the new export resource. As well as 6 new native civilizations. The patches linked below will download and install much faster than the in-game updater, and more reliably. 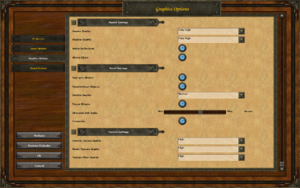 In-game UI settings. The "Enable IME" option under "Regional" is not shown. Homecities can be saved on the official ESO multiplayer platform (effectively in a cloud). Some in-game texts becomes small. Game has no borders at max resolution when in windowed mode. 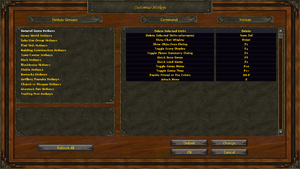 Online features require an ESO Account (registered in-game). For matchmaking and game lobby only, gameplay remains on peer-to-peer basis. 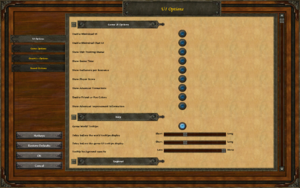 Enter in-game or use OverrideAddress= and hostPort= parameters. This is the most common error suffered with Age of Empires III multiplayer. This error can be caused by many problems, and consequently, there are many methods to try to repair it. After each numbered step, attempt connecting to several games in multiplayer; only proceed to the next if you are still experiencing issues. 1. Allow Ensemble Studios Online more time to load. 1.) Log in to ESO. 2.) Stay on the home page and wait about 10 minutes. Do not whisper to friends, check clan, or go to any other tab. 3.) After 10 minutes the problem may now be fixed. You can now leave the Home Page. 4.) Repeat this every time you log in. 2. Try power cycling your network hardware. 1.) Turn off your modem, router, and PC. 2.) Wait a few minutes. 3.) Turn them back on in the listed order. 3. Ensure Age of Empires III and its expansions (age3.exe, age3x.exe, age3y.exe) are listed on your firewall's exception lists; try playing with the firewall in Gaming Mode, Low, and Off. 4. If you connect to the internet wirelessly, try a wired connection. 5. Toggle UPnP on or off. 1.) Connect to your router in your browser; usually, this is done by typing 192.168.1.1 into your address bar. If that IP does not connect to your router, see your router's manual or try Googling your router brand and model. 2.) Your router will prompt for your username and password. Often, this is "admin" and "admin" or "admin" and "password". See your router's manual or try Googling your router brand and model with "default password" if those don't work. 3.) Find and Toggle On or Off (set it to whatever it wasn't before) UPnP. You may have to search around for this setting, or consult your manual. My router has it in Advanced: Advanced Setup: UPnP. 6. Try Port Forwarding UDP and TCP ports 80, 2300-2310 to your device. 1.) Identify your router brand and model. 2.) Go to PortForward.com and select your router brand and model, and click search. 3.) 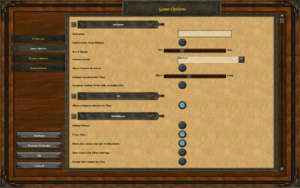 Select Age of Empires III and follow the steps given. 4.) You can use a site like CanYouSeeMe to ensure you have correctly opened the ports. CanYouSeeMe will only see a port if there is a server currently running on it -- a barebones server I made can be downloaded here: http://www.mediafire.com/download.php?z1twnicystbaqsz Unzip, run the .exe, and enter the desired test port. 7. Try Port Forwarding UDP and TCP 80, 2300-2340 to your device. Note the larger range of ports than step #6. 8. Override the Port to 2300. Use the parameter OverridePort="2300". 9. Override the game to use the correct IP address. Use the OverrideAddress= parameter with your IP address. 10. Try setting the DMZ on your router on. An error that usually occurs on Windows 7. After each numbered step, attempt running the game; only proceed to the next if you are still experiencing issues. 1. Ensure the game is Running as Administrator. 1.) Right click on your desktop icon, and select "Properties". 2.) Go to the compatibility tab and select "Run this program as administrator", and select "OK". 2. Try running the game in compatibility mode. 2.) Go to the compatibility tab and select "Run this program in compatibility mode for:". Try all the OS options in the list. Oddly, some users report "Windows Vista (SP3)" option repairing it. For this issue, see instructions here. Problems with ESO Accounts should be first solved with the Account Management Tool on the official site. If you have further problems that cannot be solved with that tool, create a Support Ticket. Be sure to include your Product ID. Start the Vanilla game (not one of the expansions; launch Age of Empires III). Go to Help and Tools -> About. Windows 98SE, ME, and 2000 have found to work with the game with few issues, but they are not officially supported. ↑ 1.0 1.1 File/folder structure within this directory reflects the path(s) listed for Windows and/or Steam game data (use Wine regedit to access Windows registry paths). Games with Steam Cloud support may store data in ~/.steam/steam/userdata/<user-id>/105450/ in addition to or instead of this directory. The app ID (105450) may differ in some cases. Treat backslashes as forward slashes. See the glossary page for details.